Synchronized Breathing [The Writer’s Coffee Shop] will be available to chick lit fans everywhere starting November 14, 2013. A deep, emotional story exploring the humor and drama of relationships, and the heart’s yearning for true love.- Mitzi Kelly, author of the Silver Sleuths series. Tara Ellison, debut author and Huffington Post columnist, set out to write a novel that would empower women. Having been through her own divorce and survived, she wanted to show other women that it is possible. Adopting the philosophy that laughter is always the best medicine, she created zany characters that readers everywhere can identify with in her fictional novel Synchronized Breathing. With a messy divorce underway and a toddler in tow, Scarlett Spencer proves that life goes on and that love can be found again, even in the treacherous sea of Hollywood men. Forced to move back in with her mother (the hilarious CeCe), Scarlett must pick up the pieces of her life and discover the best is still ahead of her. Synchronized Breathing by Tara Ellison will be available November 14, 2013 in paperback and ebook on Amazon, Barnes and Noble, iTunes, Kobo, and The Writer’s Coffee Shop. Tara Ellison was born in London and raised between Sydney and Hong Kong before coming to the United States. After moving to Los Angeles for a career in acting, Tara realized she was a better author than actor. Synchronized Breathing is her first novel. The Writer’s Coffee Shop (TWCS) Publishing House is an up and coming independent publisher based in New South Wales, Australia. They gained a great deal of attention with the June 2011 release for international literary sensation, Fifty Shades of Grey, now represented by Random House. Review Copies of Synchronized Breathing are AVAILABLE UPON REQUEST. 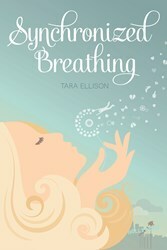 Enjoy the first three chapters of Synchronized Breathing by Tara Ellison.